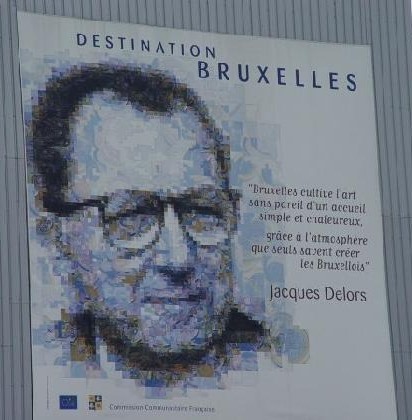 30 years ago, on 14 January 1985, Jacques Delors, who had just taken office a week before, pronounced his programmatic ‘Declaration on the orientation of the Commission’ in front of the European Parliament in Strasbourg. He did so with ‘intellectual humility’ and ‘political determination’, two attitudes that seem to characterise rather well both the man and his work. He also announced that ‘the Commission must play the central role of engineer of European integration’, which it clearly did over the entire decade Delors spent at the head of it. 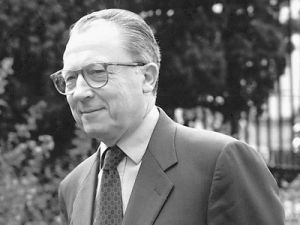 There is a general consensus today on the personal merit of Jacques Delors in instilling a new momentum to the entire process of European integration and in accomplishing the completion of the single market. One of the keys of his unequalled success at the helm of the Commission was perhaps his outstanding skills as mediator. Delors managed to mediate efficiently between the Franco-German couple and the other (smaller and/or more reluctant) member states. He also invested a lot of personal energy and clout into mediating between big business (the named UNICE) and the trade unions (the CES). And on a more general note, he was in permanent mediation between idealistic visions (of the federalist kind) and realistic feasibility (of the market type). The success of his mediation may however at the same time be considered his greatest failure. In his speech of January 1985 he identified very clearly the ‘fundamental divergences, mental restrictions, different interpretations of rules’ that he could see all across the community, and during his ten years in office he did everything he could to keep them from blocking the single market project. With great success, but at the cost of ambivalence. For example, the famous definition of the EU as a ‘federation of nation-states’ does not really mean anything, does it? What it does is keep the finality question under the carpet. With the result of giving both federalists and sovereignists the feeling they had been understood and actually confirmed in their ideas. But intentional lack of clarity breeds disappointment on all sides in the long run, and that’s what we are witnessing now. ‘Social Europe’, or the famous ‘European social model’ is another of these ambivalent messages. In January 1985 Delors called for ‘a unified economic and social space’ in which ‘efficiency and justice can go hand in hand’ and which would be exempt from ‘social dumping’. And there is no reason to cast any doubt on the sincerity of his social convictions, his defence of the welfare state, and his tireless efforts in favour of social dialogue on a European level. On the other hand, it’s the Delors decade that saw the decline of social-democratic thought in Europe and the triumph of neoliberalism, and it’s the Maastricht Treaty that committed the ‘original sin’ of relegating the social protocol to the appendices. The perception of the EU as a mere deregulation machine is also linked to the Delors years and, as much as it may hurt, the fact that ‘social Europe’ increasingly appeared as a lure to many citizens while public services were sold out to big business, massively contributed to the ‘No’ vote in the French constitutional referendum ten years after Delors left office. In his Mémoires (2003) Delors described the Single European Act as a ‘political tool’, not only ‘for implementing the single market but also for applying policies that would give the community the face of a European model of society, an equilibrium between market and regulation, a subtle dialectic between competition, cooperation and solidarity’ (pp. 227-228). Everyone may judge according to their own political yardsticks his success in creating this ‘equilibrium’, in balancing out the market with regulation and competition with solidarity. Whatever the verdict: just like pragmatism is perfectly compatible with being French, a sceptical view on an ambiguous legacy is by no means contradictory with a deeply felt respect for what has been achieved. This entry was posted in The EU and tagged European institutions, Jacques Delors, Political Union. Bookmark the permalink.